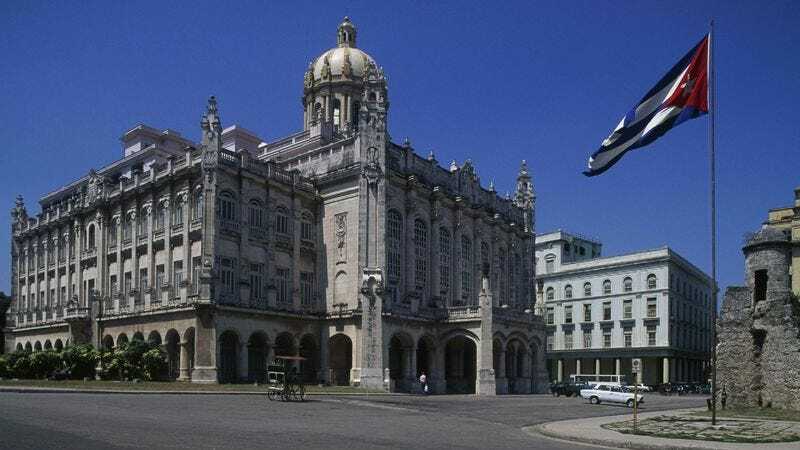 WASHINGTON—As part of the White House’s effort to mend 50 years of acrimonious U.S.-Cuba relations, members of the Obama administration called on the island nation this week to adopt a more democratic form of corruption. “If Cuba is to thrive on the global stage, it must end its autocratic abuses of power, and hold free and fair elections to determine which officials will ultimately siphon off public resources for their own personal gain,” said Under Secretary of State for Political Affairs Wendy Sherman, who called on Cuba’s communist regime to cede some political control and let opposition parties play a greater role in its shady backroom dealings and systems of graft. “We recognize that change will not happen overnight, but by allowing influence-peddling, kickbacks, and the misappropriation of funds to be controlled by elected representatives of the people, Cuba will earn the world’s trust and respect. It’s time for Cuba to embrace the same dishonest, nominally democratic form of government that all of its neighbors have.” Sherman went on to express the administration’s hopes for a future in which Cuba will regularly conduct transparent elections bought and paid for by powerful corporate interests.